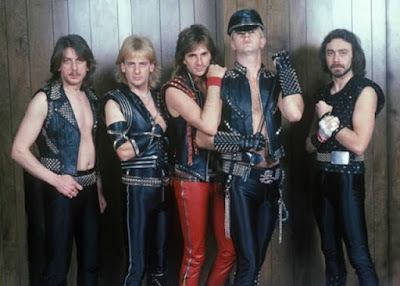 Judas Priest have launched a video campaign to encourage fans to vote for their induction into the 2018 Rock And Roll Hall Of Fame. The clip outlines the legacy of the band who have proudly flown the flag for heavy metal following their formation in Birmingham, UK in 1969. “We need your votes! You can vote every day! !” adds the group, with a direct link to the fan voting page at rockhall.com, which is open to December 5. Despite various lineups through the years, the Hall Of Fame has selected vocalist Rob Halford, bassist Ian Hill, guitarists Glenn Tipton and K.K. Downing, and drummers Scott Travis, Les Binks and Dave Holland for possible entry into the Cleveland-based institution. "Everything's on the table for anyone that's been associated with Priest in and out of the band,” said Halford recently. “It's going to be an absolutely spectacular night, should we be inaugurated -- so get the votes, I say. I think it's now time to start cracking the metal whip, and 'Vote! Vote! Vote!'" Priest, Dire Straits, The Cars, Bon Jovi, Rage Against The Machine and Radiohead are among the 19 nominees vying for induction into the 2018 Rock Hall. Judas Priest are currently working on the follow-up to 2014’s “Redeemer Of Souls” and are planning for a 2018 release.